The Chiari malformations were first described in the early 1890s by Dr. Hans Chiari, a pathologist at the German University in Prague (60). Since then, understanding of Chiari malformations has progressed to the identification of four distinct anomalies of the hindbrain. Most cases of Chiari malformation are thought to be congenital and may be associated with more serious conditions such as brainstem dysfunction or syringomyelia. Caudally displaced rhombencephalon: Chiari malformations were initially described in the late 1800s as a heterogeneous group of posterior fossa anomalies involving mainly downward displacement of rhombencephalic-derived structures through the foramen magnum. There are several subtypes of Chiari malformations, with types I and II being by far the most common. Chiari I – tonsils: Chiari I malformation is defined as tonsillar descent ≥5 mm below the plane of the foramen magnum. Chiari II – vermis, brainstem, and fourth ventricle: Chiari II malformation involves caudal descent of the vermis, brainstem, and fourth ventricle along with the tonsils. Chiari II malformation occurs exclusively in association with myelomeningocele. Pain +/- brainstem and cranial nerve problems: Pain is the most frequent clinical presentation, and it commonly consists of posterior headaches elicited by Valsalva maneuvers. Other symptoms include brainstem and lower cranial nerve problems, as well as cerebellar and spinal cord symptoms and signs. Decompression necessary if symptoms progress: Chiari I malformation may be managed with clinical observation if patients are asymptomatic or mildly symptomatic. However, in cases of progressive neurological deficits or significant symptoms and confirmatory MRI, surgery (posterior fossa decompression) is recommended. Syringomyelia indicates need for decompression: Syringomyelia is a common occurrence in Chiari I malformation and is particularly frequent in Chiari II malformation (approximately 75%). 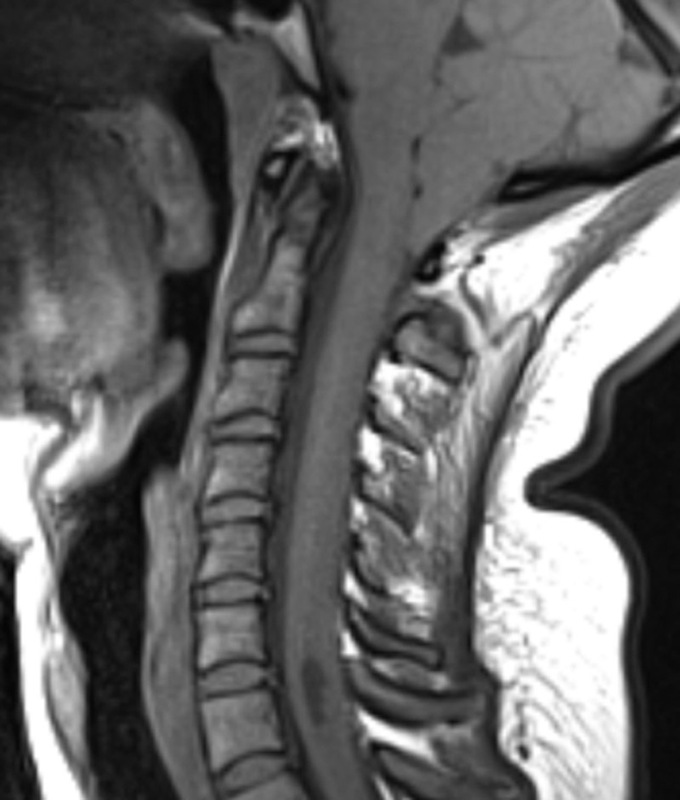 The presence of syringomyelia in association with Chiari I malformation is an indication for surgical decompression. Shunt check required if symptoms occur with Chiari II: The occurrence of Chiari II malformation symptoms should trigger an evaluation of shunt function.